Bellroy’s Elements Range is the calm within the storm. I've had wallets damaged by the "elements" (rain, snow, dirt...a friend lost his in a river once and someone turned it in...it looked like it had died but it was still a wallet). 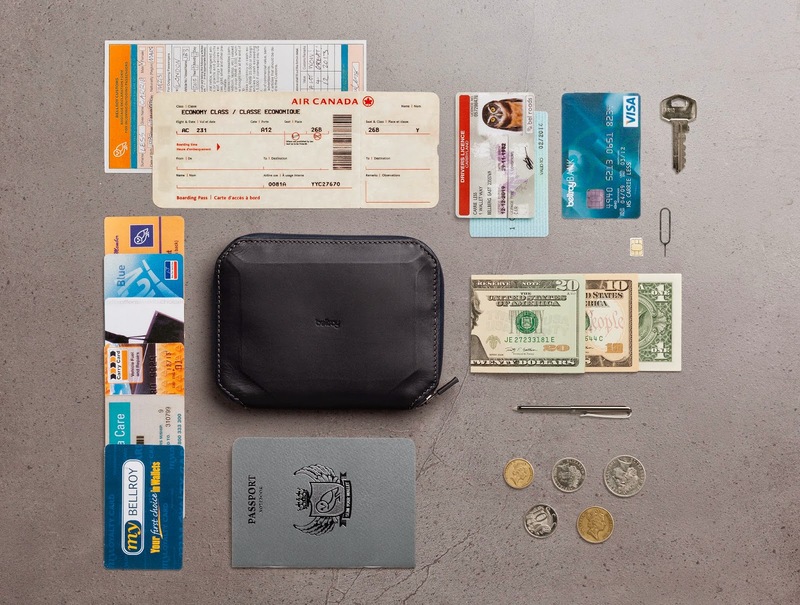 But as Bellroy says,"these wallets are designed for an adventurous heart." "Using all-weather leather and water-resistant zips, each style has been crafted for those times when you’re on the move and need a bit more protection for your pocket contents. That doesn’t mean they look like a weird fanny pack, or zip-lock bag. 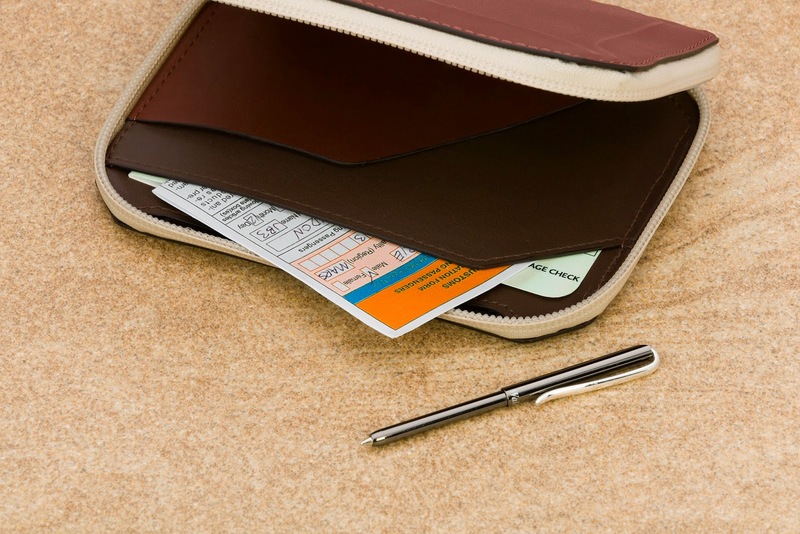 Bellroy’s signature approach keeps things sleek, slim and functional." The Elements Travel recognises that real adventure starts beyond the airport. In sand, snow and off the beaten track; your travel essentials always need protection. Featuring a water-resistant zip and heavy-duty leather on the outside, the internal boasts organised layers to keep your life in check. There’s a handy travel pen for customs forms, slot specifically for a passport, and even enough space for your smartphone. Sure beats a beige body belt.